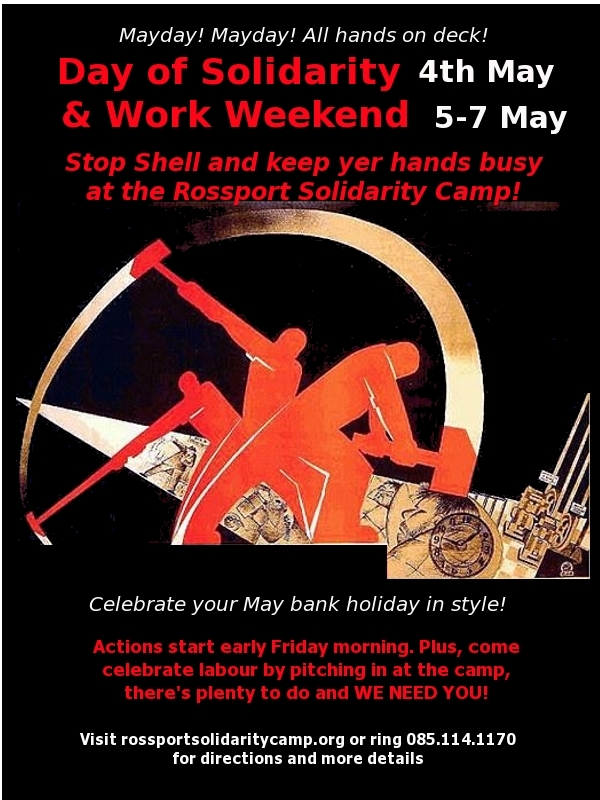 Come spend your May bank holiday weekend in solidarity! Stop Shell, keep yer hands busy, and learn about environmental campaigns in the US- all in one weekend! The next Day of Solidarity is Friday 4th May. Actions will start first thing Friday morning, so please arrive on Thursday night. Food and accommodation provided, donations welcome. There may be buses or lift shares coming from Dublin Cork or Galway so please get in touch if you need a lift or are able to offer one. Please help promote the weekend by printing up posters and posting them in your town! Download below. Thanks!